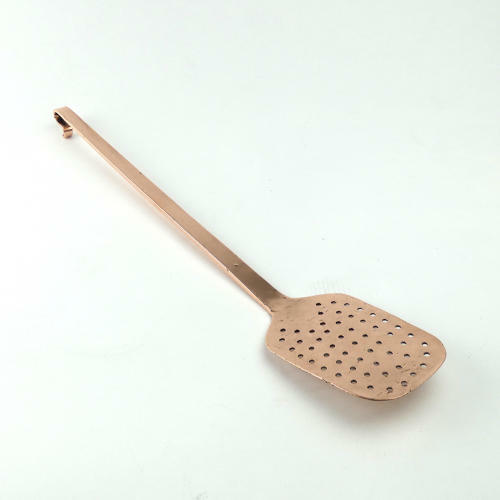 A French copper fish slice. This piece is made from a heavy gauge of copper and it dates from c.1890. It is particularly flat, for use as a fish slice rather than a more general drainer. It has a turned end, which is shaped like a shepherds' crook, for hanging and it is in excellent condition. Dimensions: Length 45.7cm. (18in) Pierced section of strainer Length 12.5cm. (5in) Width 9cm. (3 1/2in).